I realized a few weeks ago as I ran out the door with a cereal bar in my hand that I need more protein and less calories to start my morning - something substantial but healthy. When I have time, egg whites are one of my favorite go-tos for a healthy breakfast. They're high in protein, low in calories, and so filling that I'm typically not hungry again until lunch. Unfortunately, I'm typically running late and need something quick and forkless. So I decided to get creative with my eggs and create something that can be wrapped in a napkin or thrown in a ziplock bag. 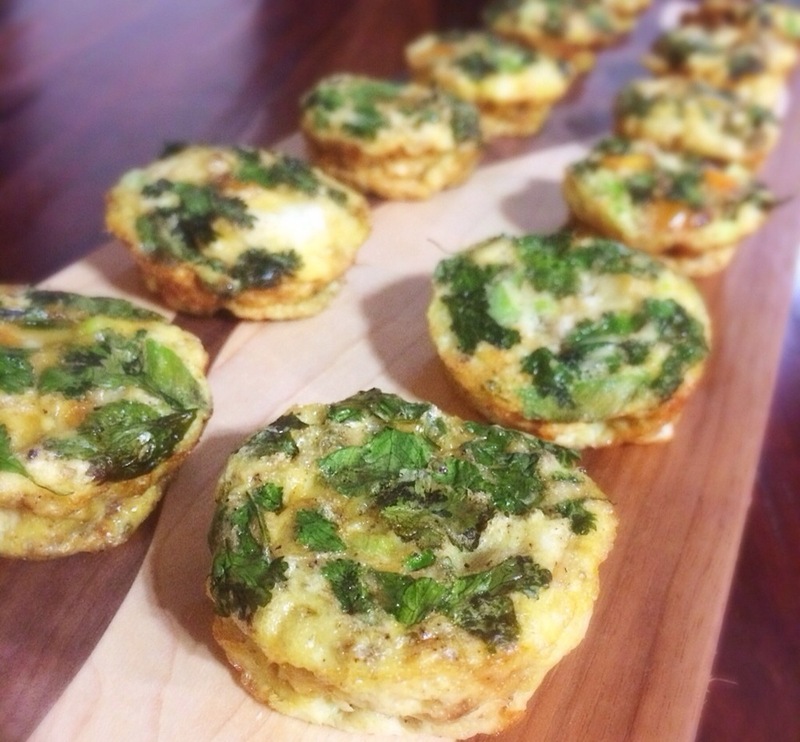 These egg white cups are so cute, easy, and delicious. I've been making them on Sunday nights and storing them in a large Ziplock bag in the fridge. Each morning, I take two out, warm them for 30 seconds in the microwave, wrap them up, and head out the door. These cuties would also be great for a breakfast or brunch party! Heat olive oil over medium heat in a skillet. 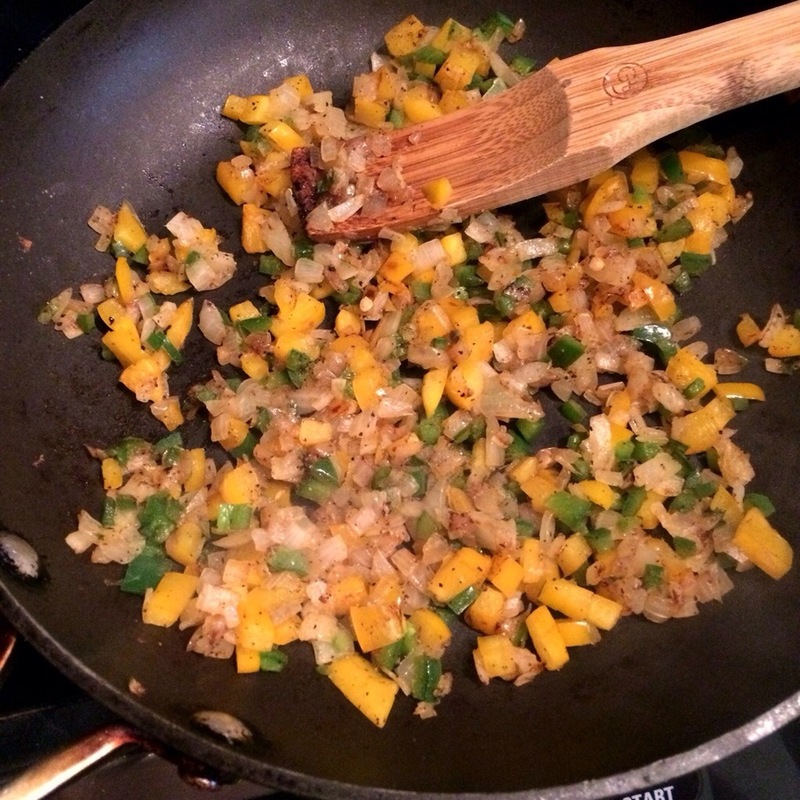 Add onion, pepper, a dash of salt and cook until slightly brown. While veggies are cooking, separate egg yolks and whites. Use 12 whites and 4 yolks (you can save the leftover yolks for something else). Whisk the eggs together with the cream, salt, and pepper. When the veggies cool add them to the egg mixture and stir together. Spray a large muffin pan with nonstick oil or butter. Using an ice cream scoop fill each muffin cup 3/4 the way up. Top each cup with cilantro. Bake for 15 minutes or until eggs are no longer runny. Store in a large Ziplock bag in the fridge.